Have you found yourself starting on a budget but then leave it deserted and nowhere to be looked at again? 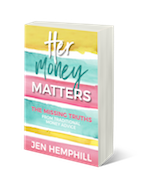 Or maybe you have all the intentions of starting a budget but you quickly run away at the thought or anytime you hear that word? If so, this episode is an absolute must for you. 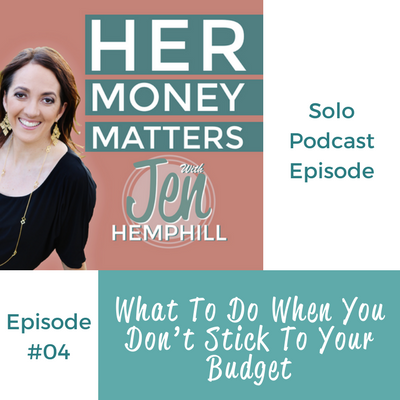 If you are ready to talk about budgeting and ready to learn what you can do when you don’t stick to a budget all you need to do is press play. Let’s do this! The only way to move forward-have a starting place to put your feet on to take that first step. Now I’m casting the spotlight on you and giving you a task. Take 5 minutes and write down the answers to the 2 questions: #1. 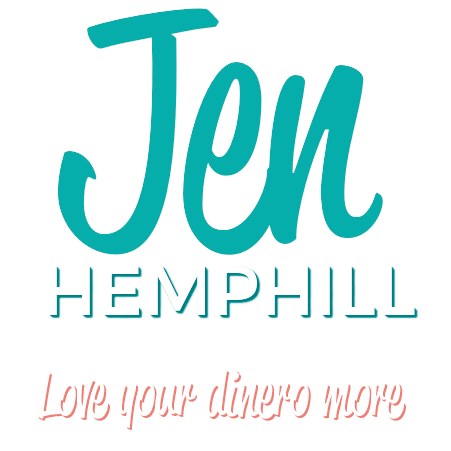 What is it about a budget that stops you in it’s tracks? #2. Then ask yourself why. Make sure you write all your thoughts down! I’d love to hear from you! Be sure to leave me a comment in the comments section below and tell me if you completed the task :-). I recently inherited a significant amount of money and am looking for the best way to invest it. I’ve met with a Merryl Lynch advisor but I’m nervous about the market considering current political climate. Any advice on investing would be greatly appreciated.